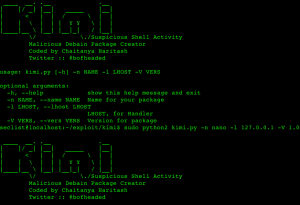 Browse: Home / kimi – Malicious Debian Package generator. 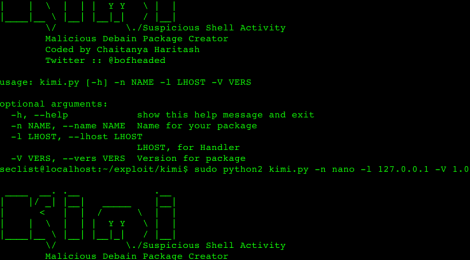 Kimi is a script which generates Malicious debian package for metasploit which consists of bash file. the bash file is deployed into “/usr/local/bin/” directory. Bash file injects and acts like some system command which when executed by victim and attacker hits with session. Kimi basically depends upon web_delivery module and every thing is automated. 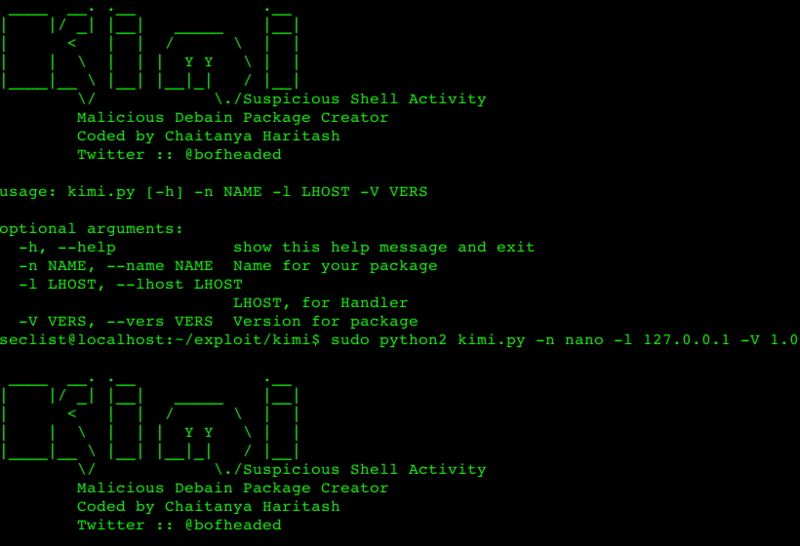 ← invoke-psdump is a windows command-line packet capture and analysis tool.